In this tutorial, you’ll learn how to rotate your Play Digital Signage slides by 90 degrees clock-wise (portrait mode). You’ll find it useful if you want to rotate your display vertically. 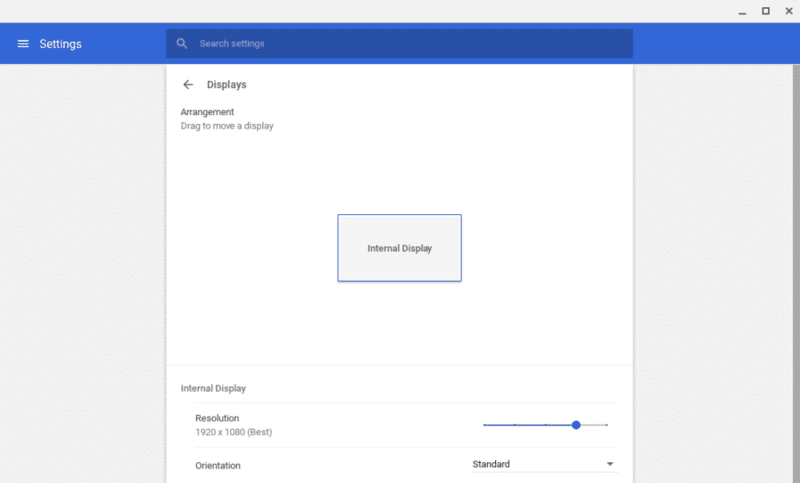 Since display will be rotated 90 degrees, the aspect ratios are also flipped. 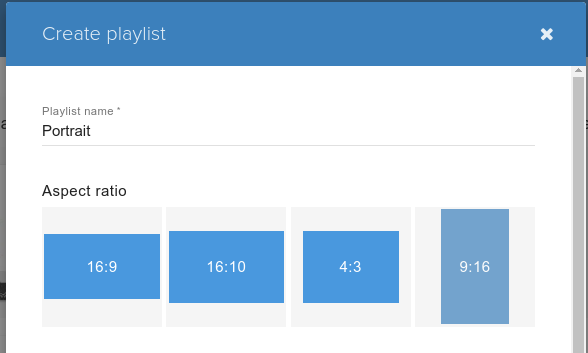 Instead of the usual 16:9 aspect ratio, create a playlist with 9:16 ratio. Most TV screens produced today are in 16:9/9:16 aspect ratio, however you can always input your own custom ratio under “Advanced” section in the “Create playlist” popup window. 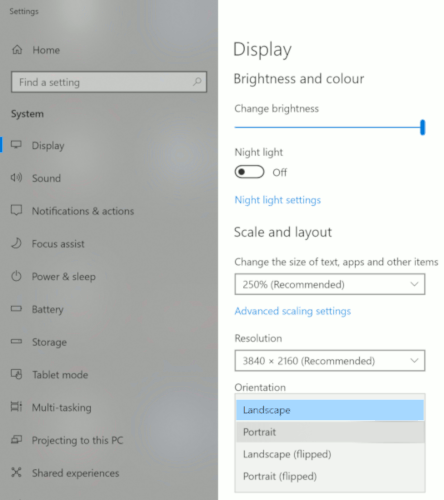 Right-click on the desktop and select “Display settings” from the drop-down menu. Then select “Portrait” orientation from the Display menu. Launch System Preferences from the Apple menu and find “Display”. 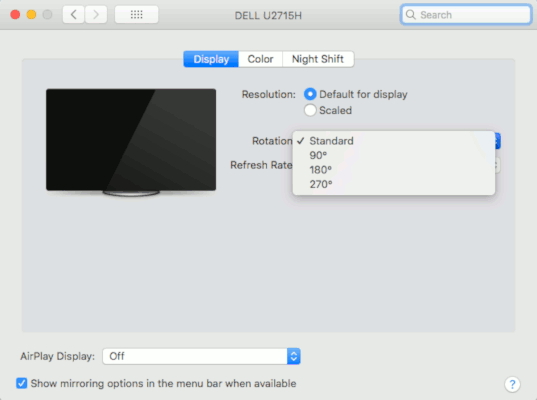 In the Display settings change rotation to either 90 or 270 degrees. Go to Settings -> Display -> Orientation and select either 90 or 270 degrees. Not all Android devices support rotating display signal, but the option is usually under Settings->Display menu. After rotating the screen, the playlist may not fill up the entire screen, because width and height are now reversed. 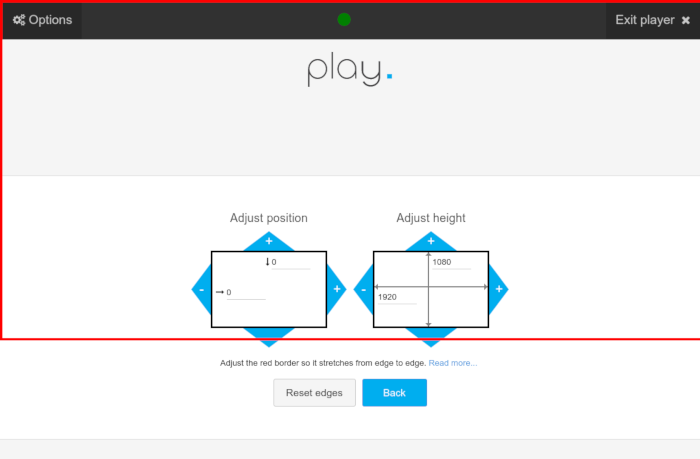 To fix that, go to our app options, then select “Screen edges” and adjust the red borders to match the screen. If you can’t find the setting, please refer to FireOS guide below. FireOS devices (Fire TV) don’t have an option to rotate the signal, so we have developed a workaround for it. This is not ideal as it requires more processing, however works as a band-aid solution. In our player app go to settings (by moving the mouse you’ll see top menu bar, left button on the top menu bar takes you to settings or by pressing ‘menu’ button on devices that have a remote). There you’ll find an option to toggle “Portrait mode” either clockwise or counter-clockwise. After turning on the portrait mode, the settings page itself is not rotated, so when you exit the options page, the playlist is rotated. Open up options in the player and navigate to ‘Screen edges’. Now move the red lines to cover entire visible area.